The Roma people, a group that rarely enters the public consciousness in the UK, have hit international headlines over the past couple of weeks. It all started with “Maria”, the blond-haired, blue-eyed four-year-old girl in Greece who was taken away from her dark-complexioned Roma family by the police, largely on the basis that she couldn’t possibly be their biological child as she looked so different – and if she wasn’t their biological child, they must have kidnapped her. Maria was put into the care of an NGO while police carried out DNA tests, which confirmed that she was not biologically related to her parents. The police then tracked down her birth mother who, as it turned out, was another, equally dark-skinned Roma woman in Bulgaria. She has corroborated the Greek family’s story, confirming that she gave them the child in 2009 because she was unable to care for her herself. What remains unclear now is whether the Greek couple simply adopted the child unofficially, or in fact bought her. There’s no disputing that whatever happened between the two sets of parents was outside the law, but morality is less black and white. While child trafficking is clearly a problem that needs tackling, it does appear that in this case, whether money changed hands or not, both the biological and adoptive parents agreed to the arrangement. Most crucially, Maria ended up in a loving family that was able to care for her, rather than in the poverty that awaited her in Bulgaria. Maria’s case raises a whole series of issues, and even more so when we look at the series of related cases that it triggered. In the days after Maria’s story broke out, not one but two Roma families in Ireland had their blond children taken away by the authorities after neighbours reported seeing children who didn’t resemble their parents. There is no doubt that there are details that haven’t been made public, but on the surface, it seems that this difference in colouring was the main justification for taking the children into custody overnight while DNA tests were carried out. In both cases, the tests came back positive- proving that Roma parents can indeed have pretty blond children. One of the issues that these cases bring to mind is child welfare and the state’s role in it: at what point is it ok for the authorities to get involved? How much proof do they need to justify taking a child away from his or her parents? I believe that, particularly in the Irish cases, they acted too soon and on too little evidence. The action taken should be in the best interests of the child, and the experiences of these children were undoubtedly and unnecessarily traumatic. In the Greek case, while it did turn out to be true that Maria was not related to her parents, being pulled out of her community and put into a home must have been a terrifying experience for her. It now appears that she will neither be returned to her adoptive parents nor to her biological family in Bulgaria, because of the poverty to which she would be subjected there. Consequently, she faces a life in the Greek care system. A care system that, incidentally, “lost” (or possibly even sold) over 500 Roma children between 1998 and 2002, and to this day has failed to investigate the matter fully. Maria will become just one of the hugely disproportionate number of Roma children in state care. There are wider issues highlighted by these stories too. Ignoring for a moment the bizarre fact that in each case, the authorities only seemed concerned about the blond children (surely if they believed that one child in a family had been kidnapped, they should have considered the possibility that all of them were? ), or the fairly tenuous grasp of basic genetic science being demonstrated (blond hair, blue eyes and even albinism, all being the results of recessive genes, can crop up anywhere), these cases, and the reactions of both the media and the public, highlight some serious issues of deep-seated prejudice and discrimination. Some people have likened it to “missing white woman syndrome”: the idea that the media is much more inclined to focus on a story about a pretty victim belonging to the dominant social group than on one from a downtrodden or marginal section of society. This school of thought says that, in the Roma cases, if it had been a dark-skinned child living with white parents (especially if they were middle-class and attractive), while it might have raised a few eyebrows, few people would have jumped to conclusions of kidnapping or child trafficking. 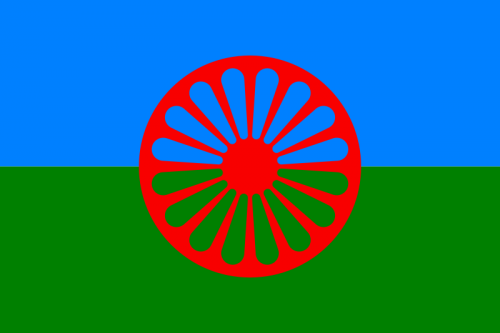 More importantly, in my view, these recent cases draw attention to the unbelievably widespread and institutional discrimination against the Romany community, of which the Roma people make up the majority in Europe. This ethnic group was persecuted in Nazi Germany along with the Jews, and hundreds of thousands were killed. However, while anti-Semitism has become a by-word for evil, anti-Roma sentiments are still going strong, and even seem to be the norm. Like all prejudices, it stems from ignorance, and is possibly worsened by the confusion that arises from the term “Gypsy”. This term tends to be applied to travellers of any ethnicity but is also still an accepted, albeit usually pejorative, word for Romany people. The negative perceptions surrounding both kinds of gypsies are a result of tarring the whole group with the same brush – assuming that the majority are dishonest, lazy criminals based on the actions of a minority. If some of the Roma do commit petty crimes, is it really surprising? It is clear that these kinds of crime are a direct result of poverty, and these are some of the most impoverished people in the Western world: 90% live below the poverty line. No doubt some people’s natural reaction would be that they could escape poverty if they were willing to work, but how easy can it be to get a job when you are turned away on sight? Or when you were deprived the same level of education as your non-Roma peers? Of course, all cultures suffer from negative stereotypes to an extent. What’s really scary, however, is the way that society, and even more worryingly, the state, acts on those prejudices in a way that would not be acceptable if it were any other group. As the Roma don’t have the means to defend themselves, it’s too easy to use them as scapegoats and for governments to play on the public’s fears and prejudices to their own ends. The European Union, at least, does recognise the widespread inequality and institutional racism towards the Roma, and has taken small steps to remedy the situation. For the eastern European countries that have joined the EU in the last decade, in particular Romania and Bulgaria, improving the treatment of the Roma and their quality of life was an important issue condition of their accession to the union. In practice though, those governments have failed to make any real changes. They’re not the only ones at fault, either. France, a republic proudly founded on the principles of “Liberté, egalité, fraternité”, began a campaign in 2010 of deporting eastern European immigrants, explicitly targeting the Roma. Several countries, including Slovakia, Hungary, Greece, Croatia and the Czech Republic, have been found to segregate Roma and non-Roma children in schools, contravening EU directives. The Italian government created a database of Roma people and moved them into segregated camps. Around the same time, holiday-makers in Italy sat by and ignored the bodies of two drowned Roma children on the beach. In Romania, where the majority of Europe’s Roma live, the prejudice is shockingly engrained. A friend recently told me that when she was working in a school there, she was instructed by the teachers not, under any circumstances, to let the “dirty” Roma children touch the others. Try swapping the word “Roma” in each of those cases with, for example, “black”, “Jewish”, “gay”, “working-class”, “Indian”, “Chinese”, even “ginger”…. Would society still turn a blind eye? Maria’s case and those that followed were no doubt complex, and they raised several key issues and questions. I would argue that discrimination was at play; that the authorities were acting on their own prejudices towards a racial group, and they were able to get away with it because it’s a prejudice that society deems acceptable. If there’s a plus side to what these children have gone through, it’s that maybe putting the spotlight on this misunderstood group will finally show them for what they are – just people, no different from you and me.